Discussion in 'Boxing' started by Charles Martel, Jan 12, 2018. Looking forward to this. I believe GGG will come in a bit leaner. It appeared to me that he was a bit sluggish and not not at his normal condition. Look for him to increase his conditioning and put on pressure sooner. Just reviewed their 1st fight. What a rip off. GGG 9 and maybe Canela 3. F*cking corrupt Vegas. Triple G needs a new management team, it is crazy for GGG to wait 8 months between fights. He is going to be a year older and believe it or not a successful fighter has to find a reason to get up for a rematch ,when he thought he won the first fight. The late great Gil Clancy once said the need to get a fighter back in the ring is essential for success especially for an older fighter. That is probably looked at as the old fashion but he had a lot of good fighters Emile Griffith was one. I'll most likely boycott this after the blatant Robbery of Triple G last time they faced each other. GGG will win and they'll start pushing for a 3rd fight. Old fighters -of which I known perhaps too many- can lack the motivation for training as they may already be financial set, have already have won championships, or their body once out of shape does not return to previous heights of ability. Clancy was an old school American trainer -yeah he knew the ropes. GGG said in that Russian interview he did, which was translated in English, that after the Canelo fight he lost some motivation. Will his desire return? Yes! He can't make millions in Kazakhstan. Canelo was set up to have many advantages for his fight with GGG. These advantages were acknowledged by GGG in that interview mentioned above. Nevertheless Canelo is not in a hurry to get back in the ring with GGG and he needs the rest. No matter what he says, the chin punishment Canelo took from GGG is permanent it has no remedy. 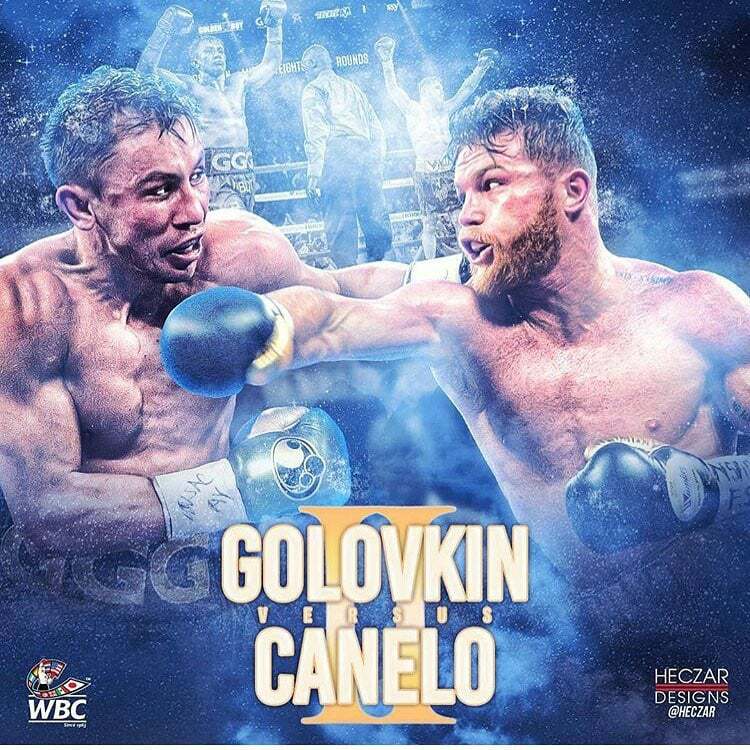 If GGG trains hard, and if careful preparations are made, and they are being made, and if GGG makes the adjustments to his attacks he did not make in their first fight, Canelo may not only lose but he may not finish the fight. Did you watch Teddy Atlas lose it over the result. It was great! Yeah, I saw that melt down. Teddy may have the onset of dementia. Eating too much clenbuterol laced horsemeat....yeah ok LOL. This is worse than the excuse Justin Gatlin gave about his massage therapist using testosterone enhanced cream without him knowing. I suspect Canelo has been on PEDs for a while now. I also believe that is one of the reasons he was able to absorb GGG's punches in the first fight (albeit GGG does seem to not be hitting as hard as he used to). Apparently the Mexican fighters can juice as much as they want and blame it on tainted steroid steak and that's an acceptable answer?! Lol BS. Its going to be very hard for GGG to walk away from 20 million plus PPV %. I see this fight still happening. The American boxing press was all for Wilder walking away from his showdown with Povetkin in Moscow a couple of years ago. Like this positive test it was a trace amount of a substance and Povetkin had a similar the dog ate my homework excuse. PS, The WBC and WBA already have lined up behind Golden Boy Promotions, so the ball is probably in the court of GGG and K2 Promotions. I suspect if GGG walks away from the rematch he will be roasted by the media, unlike Wilder. Looks like GGG will come into the fight a bit lighter. Last time out he was sluggish in the beginning. He had decided to drop the weight slowly rather than be close to fighting weight over a week out. I think will see the GGG of 2 years ago, if father time has not caught him. What a scam...and an obvious attempt to get the attention off of Saul "horsemeat" Alvarez. I hope GGG knocks out Canelo and then retires, shoving it down their throats. Canelo has been cheating for a long time. He was huge in the Chavez fight and myself and some of the dwf's that happened to be watching all thought he was on something then. But, I suspect his cheating began a long time ago. Anyways, I won't be watching this so I'll come here to find out the result LOL. A Mexican cheating, no way. It's official, Canelo has pulled out. GGG looking for a May 5 opponent. Spike O'Sullivan and Sergey Derevyanchenko have both said they are willing. Saunders (WBO paper champion) and Charlo, GGG's WBC mandatory, both said no. Saunders says he has a hand injury. I think GGG will make a statement on May 5th. Once that is done, hopefully, he will next fight Saunders, who a year ago, thought was a joke, but he proved me wrong, by looking sensational against Lemieux. GGG should win and be the undisputed 160 lbs Champ. All the black contenders are avoiding each other, as to not suffer a defeat or the chance at GGG for all the marbles. To be fair to Saunders he doesn't have time to get into shape. I don't know what Charlo is up to(don't really care either as I still can't tell which brother is which). I think O'Sullivan will be the pick. A B- level fighter. Charlo should fight Jacobs next. Jacobs meanwhile is feasting on club fighters and never hopers. His next is against a Russian/Euro I know little about. But no doubt a supposedly easy fight for Jacobs. The latest rumour is that GGG is looking to book the StubHub Center for a fight with Vanes Martirosyan. I guess if somebody is going to get the beating of their life and earn a decent 6 figure pay cheque it might as well be a White man or Caucasian.